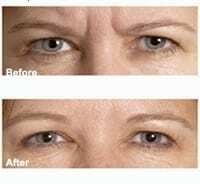 Dr. Duane Delaune is a New Orleans provider of Botox® injections, which reduce facial wrinkles, creases and frown lines. Botox is a protein-complex prescription medicine that is injected into specific facial muscles. 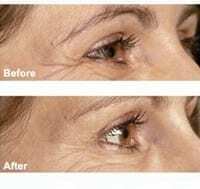 Facial creases and wrinkles are often caused by repeated muscle contraction. Botox temporarily blocks nerves impulses to the muscles, so that the muscle activity that causes wrinkles is reduced. The entire treatment takes about 10 minutes, but the injections only last a few seconds. Discomfort with the injections is usually brief and minimal. Occasionally, patients report redness or bruising, which gradually diminishes within a week. You’ll start seeing results within one week. Lines and creases continue to improve for 30 days, and the results will last three to six months. If you want to maintain the effects, the treatment must be repeated. Visit our Juvederm page for information on additional injectibles.